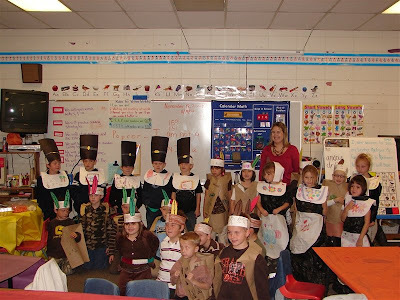 Rachel's first grade class had a short Thanksgiving play before their classroom Thanksgiving feast. It was precious. 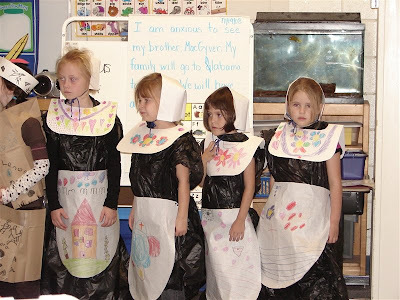 Rachel was a "Pilgrim Woman" and she is the second to the last girl there on the far right of the video. 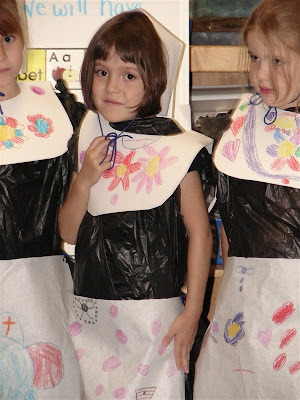 Here she is in her costume. And here are the four Pilgrim Women! And here is the entire class!